Expanding your clout via SEO is one of the tried and true ways to reach more people, sell more products and earn more subscribers. Despite the constantly changing landscape in SEO, there are some tactics that remain just as effective as they were 20 years ago. 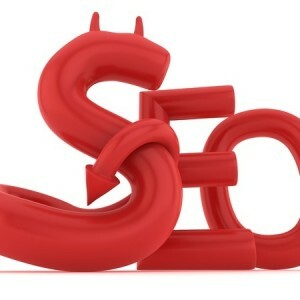 Nevertheless, some strategies have become less than useful and can even harm your overall SEO efforts. In order to ensure you’re succeeding as much as possible, it’s important to know which strategies to avoid. Today, we’ll review some SEO plans that can absolutely cause damage to your long-term efforts, so that you can steer clear of them in the future. It wasn’t too long ago that search engine optimization was very simplistic. This meant that as long as you were pinging servers with the right keywords, your site would feature prominently in SERPs. Today, however, the rules have changed: search engines are far more adept at sniffing out keyword stuffing and other blatant SEO tactics. If you’re still deploying websites and brands with domain names that rely heavily on keyword stuffing, you should cease and desist immediately. This tactic can ultimately do more harm than good, resulting in penalties for your website in SERPs due to the exploitative nature of the tactic. Link building is still a tried and true tactic for improving SEO – but it must be an organic effort. All too many people continue to inject tons of links both on and off their websites; in the case of the former, links pointing to as many authoritative domains as possible; in the case of the latter, links scattered across the web pointing back to their sites. Inevitably, search engines see through this very transparent tactic and will implement penalties to nerf your website’s visibility. Instead of focusing on buying or building low-quality links, site owners should attempt to generate quality content that earns its own links. A bit of marketing prowess may be required to generate the exposure necessary, but it is easily doable and doesn’t carry the risks that shadier forms of link building present. Search engines and the algorithms that govern how content is ranked present us with some pretty big obstacles. It can be all too tempting to create each piece of content from the perspective of what these algorithms would prefer. It’s important not to lose sight of the fact that search engines, above all else, prefer content that people like. Even if you’re pinging servers with content that generates plenty of initial clicks, if it is not up to par in the minds of readers, you’ll quickly lose those visitors. This will generate much higher bounce rates, which will send indicators to search engines that your content isn’t relevant. Instead of writing for search engines alone, be sure to create quality content that people will love. It can be all too easy to make minor mistakes in the realm of SEO that seriously add up over time. By avoiding tactics such as keyword stuffing, spamming links and writing for search engines alone, your brand and its content will have a naturally better chance at ranking well in search. You’ll of course still need a solid marketing strategy and quality content to make things work, but not making rookie mistakes goes a lot further toward victory than many realize.